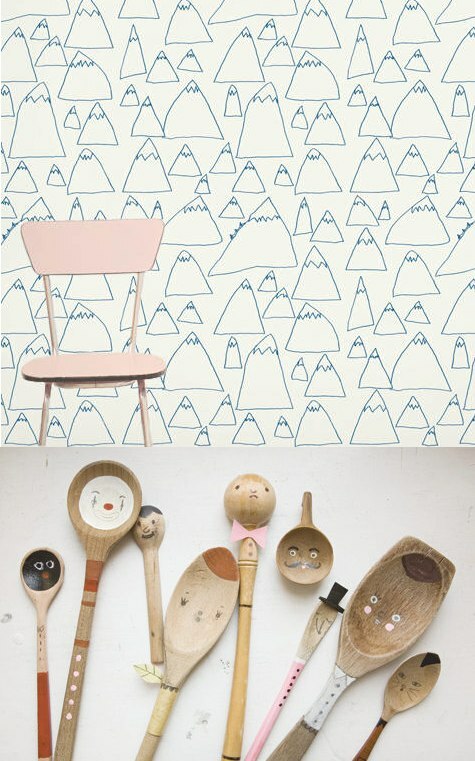 My affection for retro, eclectic and contemporary wallpaper is growing rapidly. With my online bookmarks quadrupling in the last few months from the plethora of “I have to have this!” wallpaper designs, it’s becoming a bit of an obsession – albeit a good one. Most likely none will make their way into my home but sometimes the fun bit is just admiring from afar. Admiring is what I did when I clicked on the new Swedish webshop Fine Little Day. 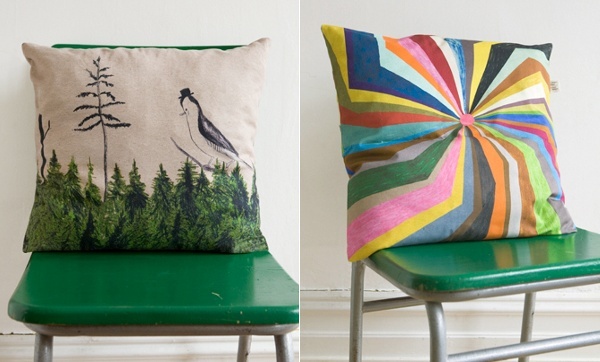 It’s full of the most glorious handmade and eco objects for the whole home and family. The kiddies will be pleased with the smashing pillow cases (the ‘just like Oregon’ fir trees above melted my heart), the handpainted wooden spoons and the colourful paper wall pennants. 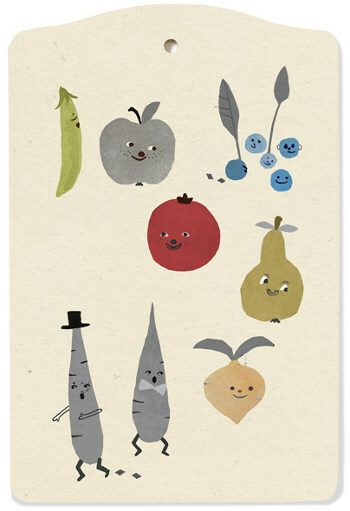 Goodies for the adults include cool cutting boards like ‘Fruit People’ (pictured below) and unique wall prints. But the marvelous wallpaper is really the pièce de résistance. 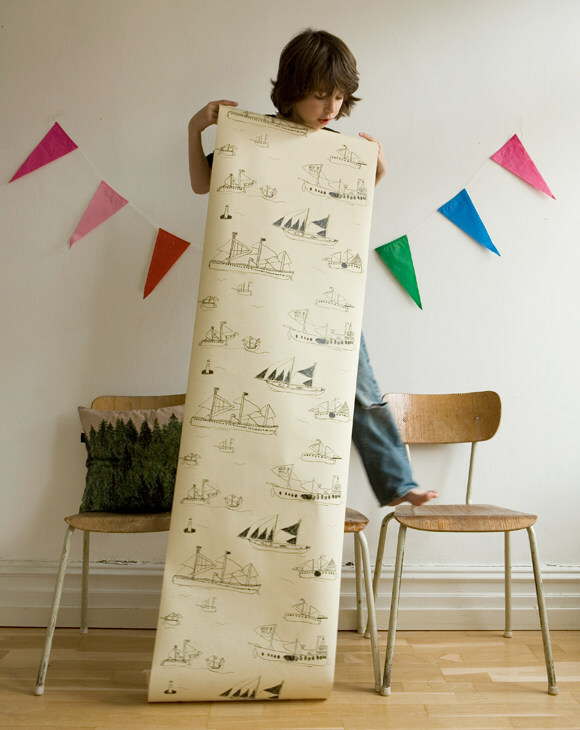 Elisabeth Dunker is the woman behind Fine Little Day and her eight-year-old son Otto is the designer of both wallpapers! That’s pretty dang cool. They’re marvelous for the walls of children’s bedrooms or for adding a touch of playfulness to any space. Head to the Fine Little Day shop to purchase with prices ranging from US$11 to US$40 plus very reasonable postage to Australia.